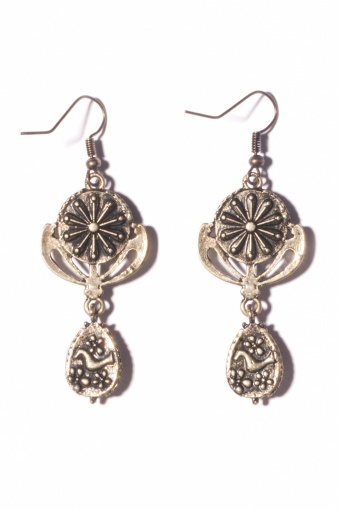 Classy Art Deco Delicate Pendant earrings gold by From Paris With Love! 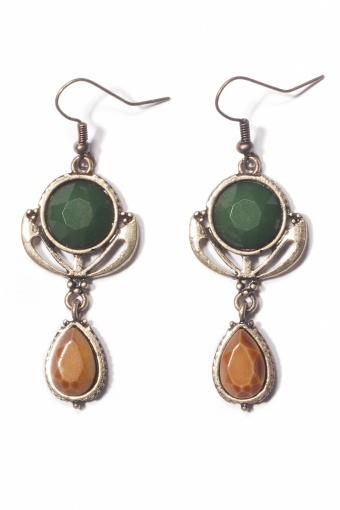 Beautiful earrings with delicate art deco-styled pendants. With faceted beads in very tasteful colours; deep green and caramelbrown. Very detailed decoration on the back of the pendants. Material: antique-look gold tone (nickelfree) metal. Timeless beauties!